Pack the Bus for the Hope Lodge!! It is that time of the year again Cedar Heights! 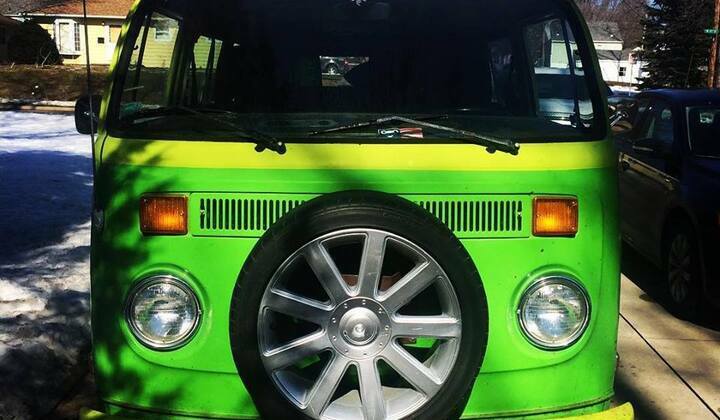 It is PACK THE BUS time. We are looking to help out cancer patients who will be receiving treatment at The Hope Lodge in Iowa City. The 6th grade will be heading up this service project. Each week they will collect items from all the classes and count them for a little “friendly competition” between the entire school. There will be a leaderboard displaying the top 3 classes which will be updated on Monday, Wednesday, and Friday of each week. The winning class will get to choose from a handful of unique incentives that Mr. Strassburg is excited to participate in. The idea of helping out others in need is the true objective in this service project. The collection will start on Monday, October 16th and we will have until Friday, October 27th to collect the items mentioned on the flyer. We will have a team of 6th graders pick up items on Monday, Wednesday, and Friday starting the week of October 16th. 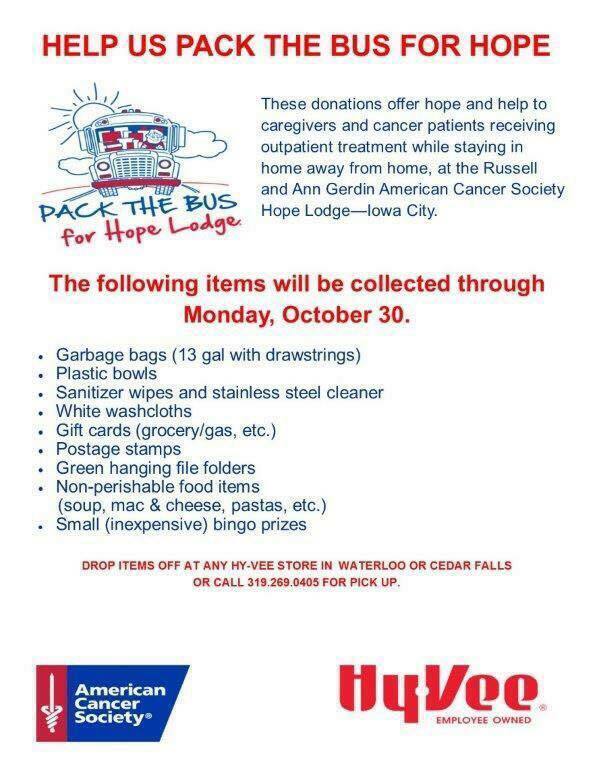 We will have 2 full weeks to collect items for the Hope Lodge in Iowa City. On October 27th we will pack my bus and transport the items to a school bus that will deliver the items to the staff at Hope Lodge in Iowa City. Cedar Heights has always been a HUGE contributor to the Hope Lodge&apos;s effort in fighting cancer. Let&apos;s make this another banner year with our effort and kindness. Make sure your child brings the items to their homeroom so they can be counted towards their class total. Look at the picture below to see what items are needed. Thank you and know that you are truly making a difference to fight cancer!